JIM VAIKNORAS/Staff photo Casey Costigan interviews Samantha Porter at the Cashman School Friday. 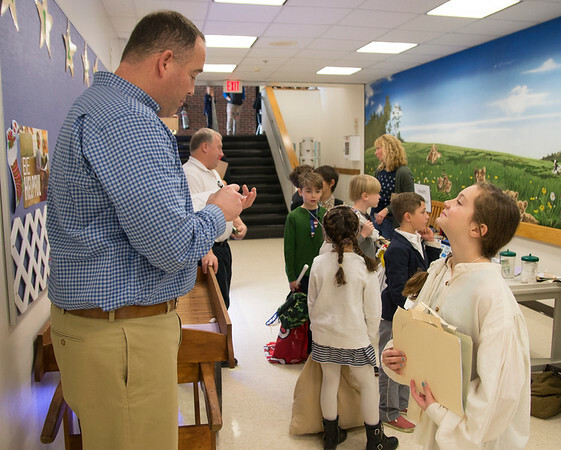 Students at the school dressed up as immigrants and experienced what it was like to go through Ellis Island. Samantha, who was using the name Luisa was an immigrant from Italy.